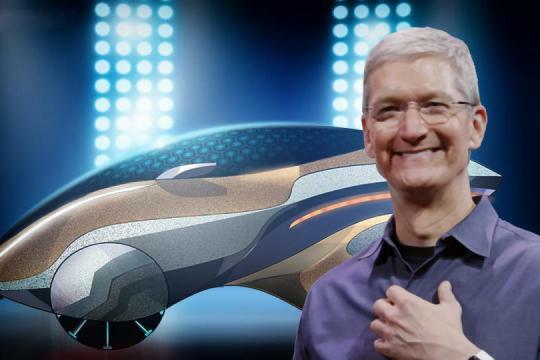 Apple CEO Tim Cook has dropped a few more oblique hints at the company's automotive ambitions. Speaking at The Wall Street Journal's WSJDLive conference in California, Tim Cook dodged questions about rumors of an Apple-badged electric car that is allegedly aiming to arrive by 2019. However, he did voice a prediction that developments in electrification and autonomous technology have pushed the industry to the brink of a revolutionary transition. "It would seem like there will be massive change in that industry, massive change, that's what I think. ", Cook said. Apple so far has limited its official automotive projects to CarPlay, projecting the iPhone interface onto the vehicle's infotainment display, however the company is widely believed to have much bigger plans that start with deeper software integration. "When I look at the automobile, what I see is that software becomes an increasingly important part of the car of the future," Cook added at the WSJD Live event, according to BusinessInsider. "You see that autonomous driving becomes much more important." Despite a hiring binge that appears to be focused on auto-industry veterans, Tesla employees and battery experts, Apple has not yet confirmed details surrounding the rumored "project Titan."